San Diego Comic-Con is already upon us and you know what that means: EXCLUSIVES. This year Hasbro has lined up four different toys for the convention-going audience. New this year, attendees had to sign up early on for a lottery just to get a ticket to wait in line, so it’ll be interesting how things go. 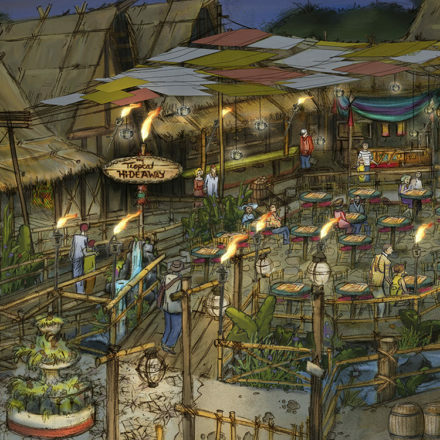 But for now, let’s take a look at what’s planned by Hasbro. All items will be available at booth #3329 with limited quantities at select conventions and select online retailers after the convention (including HasbroToyShop.com). Also expect a lot more to be announced this coming weekend! The 3.75-inch scale figure line isn’t dead yet, but this set will only appeal to fans of the comics and or droids. 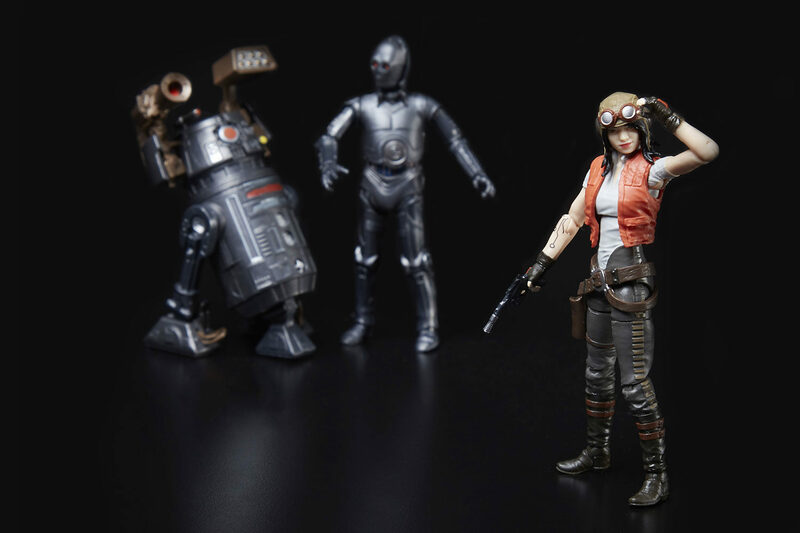 Doctor Aphra, 0-0-0 (Triple Zero), and BT-1 (BeeTee) are all part of this premium 3-pack. 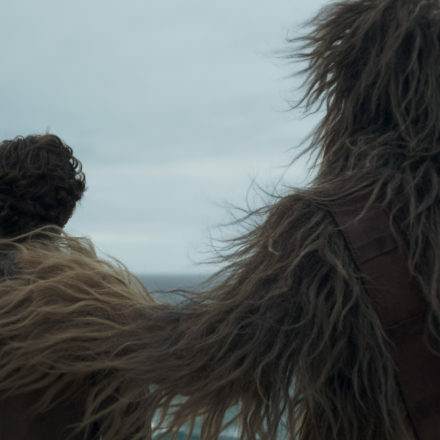 The Cartoon series Forces of Destiny recently featured an episode starring the mighty Chewbacca and a couple of Porgs. 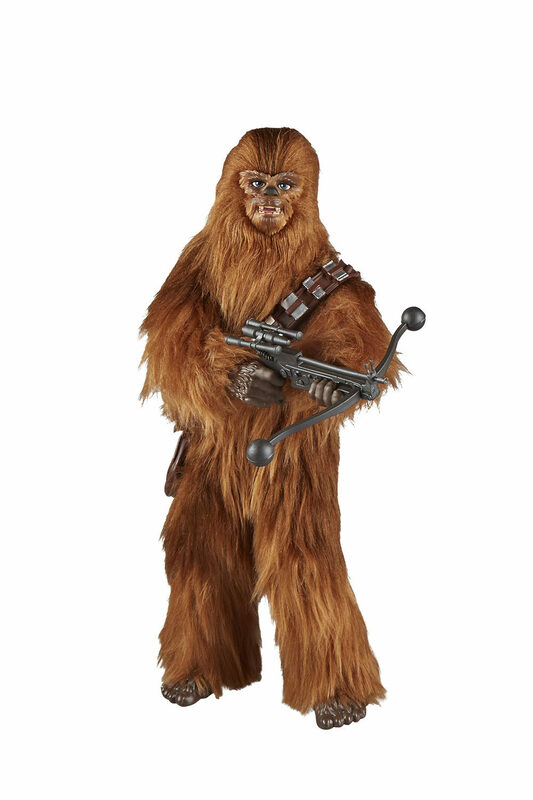 The detailed 11-inch Chewbacca figure is furry and makes “true-to-entertainment” sounds when activated, while the Porg figures feature soft flocking. 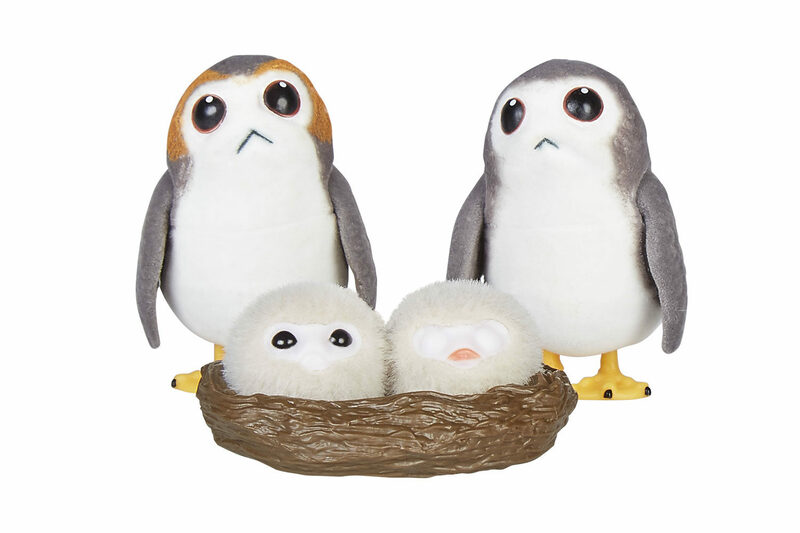 Chewbacca comes with two Porg figures and a Porglet nest with two baby Porgs. Porg-lovers, you’re gonna need this one! 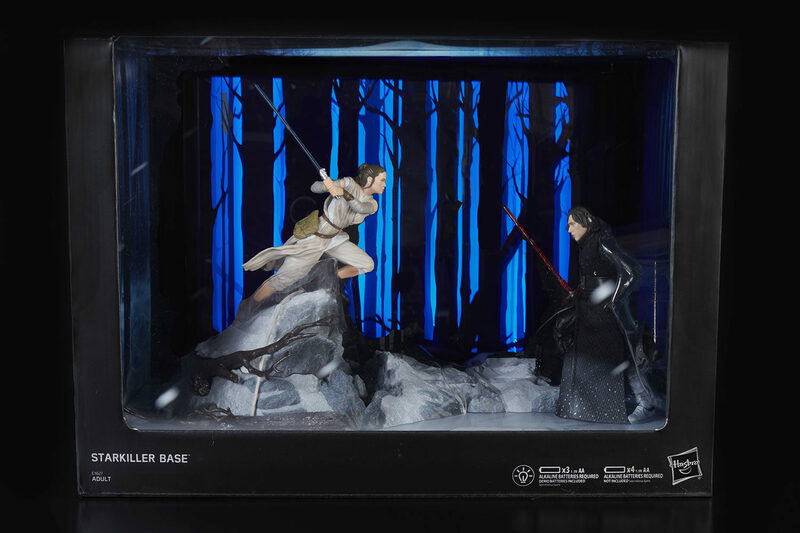 Batteries ARE included in this special premium set that features two highly detailed figures: Rey and Kylo Ren. 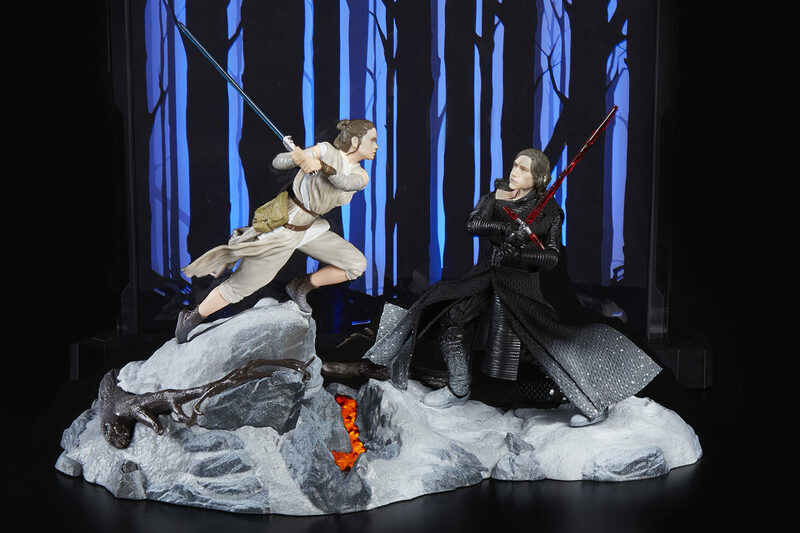 While Rey is more of a static posed figure, Kylo Ren is a highly articulated figure, making it possible for more poses than one would originally have thought. The set includes a water mister for steam effects, an acrylic light-up backdrop making this key moment from The Force Awakens come alive in your own home. 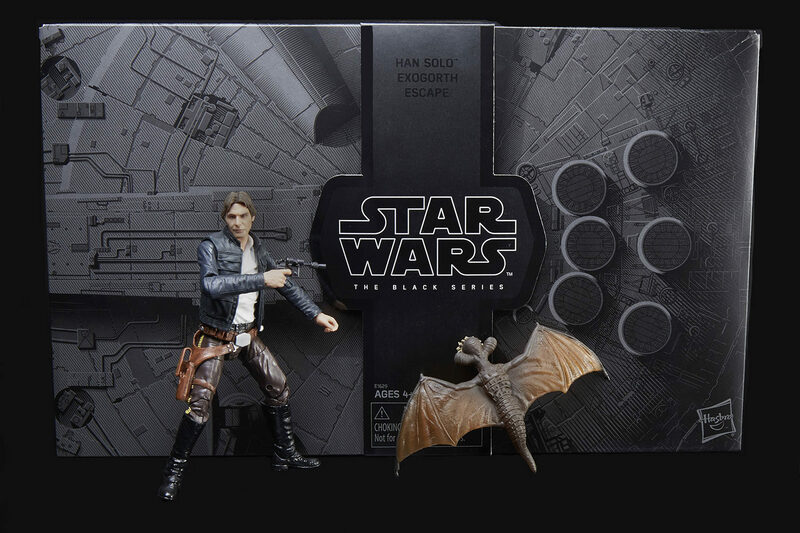 The 6″ Black Series figure line gets an early exclusive release of Bespin Han Solo and comes with an exclusive Mynock and accessories. 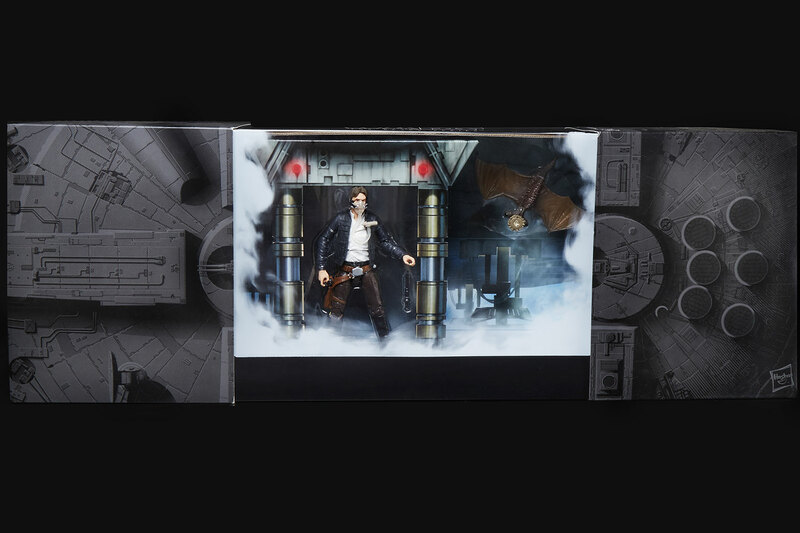 A standard Bespin Han Solo figure will see its way into standard retailers at a later date, so if you just can’t wait, this is the one to get! What do you think? Which one is your must have? Which one are you passing on? Let us know!